One of the worst feelings in the world is accidentally clicking delete on a file you need and experiencing the stomach-churning pang of dread as panic starts to set in. Despite there being no "un-delete" button that you can hit to have the file magically reappear, there are ways you can restore it. In this article, we are going to explain what to do for Mac undelete. 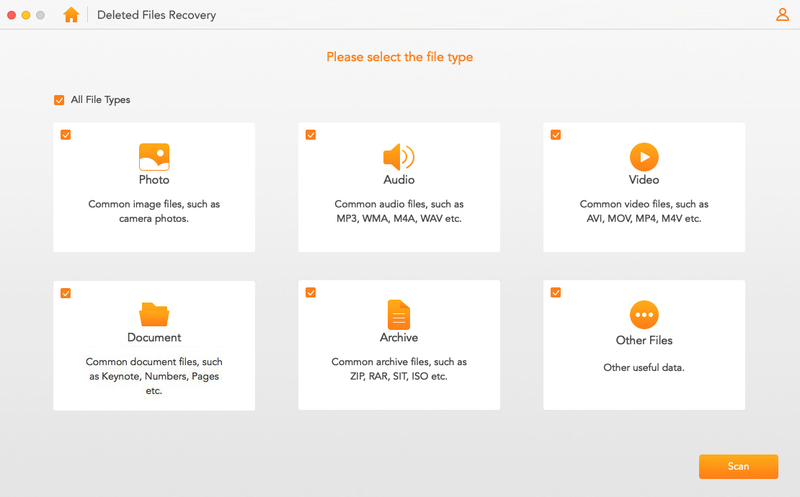 AnyRecover is a third party option for undelete files on Mac, it uses a unique recovery algorithm that allows you to recover unlimited amounts of data. Allow you to get all your files back regardless of the cause. Whether this be from a virus attack, OS crash/reinstall, damaged hard drive, lost partition, or from an accidental delete. The tool is available for Mac and Windows and comes with the ability to restore over a 1,000 different types of files, including photos, videos, audios, documents, etc. Support lots of storage mediums, including internal hard drives, external hard drives, mobile phones, camcorders, digital cameras, USB flash drives, etc. During the recovery process, lost files are never overwritten, ensuring all documents are kept safe. 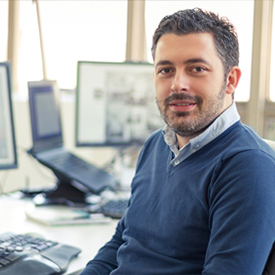 Lead the way in virtual disk recovery with its unique & advanced algorithm. To use the program, you simply download, install, and run. Once up and running, follow these steps. Step 1. Start the program and choose Deleted Files Recovery mode. Step 2. Choose where you want the program to find the lost files and then choose what type of file you want it to look for. Hit Scan. Step 3. Once the program is done running, preview the files it brings up, and recovery only the ones you want or need. Simply select with the checkmark boxes and hit Recover. 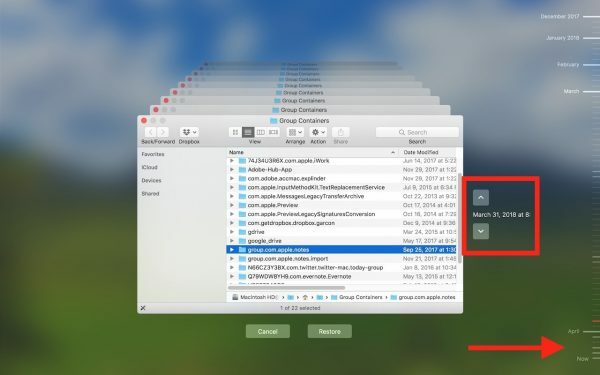 The most common way for Mac undelete is by using Apple's Time Machine, which is built into the computer and is used to make regular back ups. Step 1. Navigate to Finder > System References > Time Machine. Step 2. Check the box "Show Time Machine in menu bar", then select "Enter Time Machine". Step 3. Once you've reached the time before you trashed the file; this could be a day or day, a week or so, or a month, depending on when your last back up was, click on the time and watch as an additional "Finder" window opens up. Navigate through this like you would normally until your find the deleted file that you want to recover. Step 4. Press on your keyboard space bar to preview the file to ensure that it is indeed the deleted file you want and click Restore. This file will be restored to your current "Finder" and you will be able to open it up, edit it, and use it as if it had never been deleted! Generally, this is dependent on what application you are using to store and view your photographs. For those using the built in Photos application, you don't have to panic right away as the app has a "Recently Deleted" album that deleted photos go to. These stay in this album for thirty days before they are removed permanently. Here are the steps for Mac photos undelete. 1. Navigate to your Mac's dock and find the photos application and double click to enter it. 2. Under "Library" in the Photo's sidebar, go to the "Recently Deleted" album and click into it. 3. Find the photo that you want to recover and click on it. 4. Click Recover at the top right. Close out the album and head back to your main photo library and it will be there. If you delete a track from your iTunes library, one of two things will have happened. You either allowed it go to trash and therefore should follow the steps below, or you did not send it to the trash and will need to recover it from your iTunes music folder. To recover from your iTunes music folder: go to the "Finder" menu, navigate to your iTunes music folder (Music -> iTunes -> iTunes Media) and find the file and drag and drop onto the iTunes icon in your Mac's dock. 1. Launch iTunes and choose preferences from the iTunes menu and click on the advanced tab. 2. 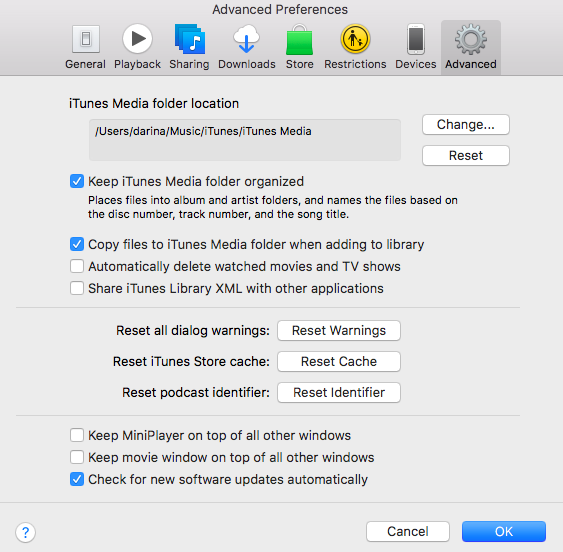 Make sure that the box labeled "Copy Files to iTunes Media folder when adding to library" is check marked and then close your preferences menu. 3. Drag the file from your trash bin onto the desktop and then drag it from the desktop to the iTunes icon in your dock. Once it is imported, you can drag the file that is on your desktop back into the trash as a copy would have been made during the import process in your iTunes library. If you chose to empty your trash bin after deleted a music file and sending it to the trash bin, you will need to use iMyFone AnyRecover or Time Machine to undelete it. Whether you use build in applications on your Mac computer, like Text Edit, or third party applications, your documents are going to be used in conjunction with an operating system feature called "versioning". Essentially what this feature does is, when you open up a file, whether to preview it or edit it, a copy of the previous version is retained so that it can be converted back if you don't like the new version you create. If you have gone and deleted these older versions, you might think that you are out of luck. That's not the case, however, and here is how you can get these files back. Step 1. Open up the file that you want the older version restored from. Step 2. Click on your File menu and choose the "Revert To" option. This option may show you a whole bunch of versions, so make sure you browse these and select the one you want. Step 3. The screen will change, similar to how it does when you use the Time Machine feature on your Mac. When you go to select the document you want, you can either use the up and down arrow keys as shown on the screen, click on the titles of each document, or use the tick marks made available to you. Step 4. Once you've found the version you want, click Restore or open it in a new document. As you can see, learning to undelete files on Mac is as easy as following a few steps. If you don't want to go through the process of using Time Machine or are someone who doesn't regularly back up your Mac computer, definitely use AnyRecover to get the job done. It's super simple to install, very easy to use, and it will restore any type of file you need.